After a great deal of experience under his belt, Scottish-born chef, Archie Maclean take's on the new position. Catharina’s Restaurant at Steenberg, which pays homage to Catharina Ras who founded Steenberg in the 17th century, is much loved by locals and foreigners alike. “It gives us great pleasure to announce the appointment of Archie Maclean as our new Executive Chef of Catharina’s Restaurant. Archie comes with a wealth of experience, having worked at top luxury properties in South Africa and abroad,” says John Loubser, General Manager at Steenberg. Archie has a great deal of experience cooking an array of cuisines in various countries, from Scotland to Australia and New Zealand, and during the last decade, all over South Africa. 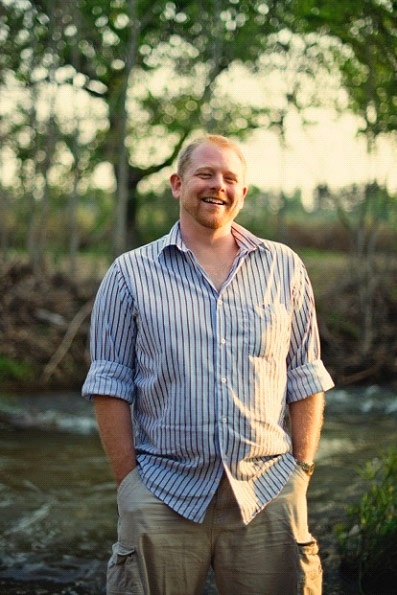 “In South Africa I spent three and a half years at Le Quartier Francais, in The Tasting Room. The Tasting Room has been consistently voted among the top 50 restaurants in the world, so that was phenomenal for me. I worked alongside executive chef Margot Janse, helping her to develop her award-winning menu. From there it was to Asara for 12 months and then to the Kruger Park, where I worked at Singita Lebombo and Sweni. After three years at Singita, where I was responsible for both lodge kitchens and the Singita School of cooking, I moved back to the Cape and started working at Neethlingshof, where I was head chef for the last 11 months,” Archie explains. Archie, who says he has no favouritism when it comes to ingredients “as long as they are absolutely fresh”, joins the Steenberg Family from Monday, 18 April 2016, and will be responsible for both the kitchen (Back-of-House) and Front-of-House. “I don’t like to stick to one type of cuisine or a set of ingredients continuously – I get bored. One day, mushroom may be the hero of the dish, the next day, beautiful fresh fish. I like to mix things up and offer diners the unexpected.” He concludes. We can’t wait to see what’s next from Catharina’s with Archie at the helm. Follow Food24 on Facebook, Twitter and Instagram for all your restaurant, food and drink updates.